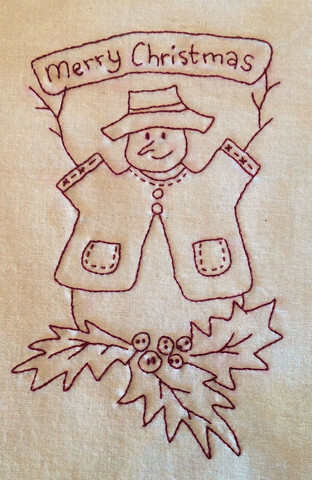 You got to love this adorable snowman – This red work pattern is emailed to you once you sign-up at Stitchingcow.com. For all the details be sure to read the Free pattern page which can be found here. What are you planning on doing red work on this holiday season?